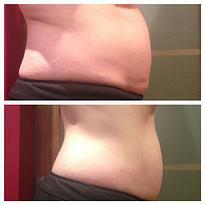 Cryolipolysis is a cosmetic procedure that gently and effectively improves the appearance of the body. 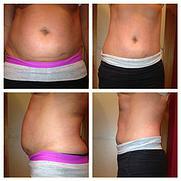 This procedure is suggested for people that have not responded to traditional diet and exercise. This approach utilises a precise and controlled cooling cosmetic device allowing the body to feel smooth again. Clients can benefit from noticeable yet natural looking results in their problem areas, providing an overall smoother body contour. 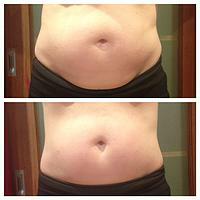 Cryolipolysis is most effective in improving the appearance of the abdomen, love handles (flanks) and back. Unlike conventional liposuction, Cryolipolysis doesn’t involve the surgeon making any incisions and doesn’t damage the area or the skin in any way. Cryolipolysis lowers the temperature in a safe environment. There is no downtime, no need for anaesthesia and is pain-free. Most clients can return to work and resume other regular activities the very same day. The temperature which fat cells need to reach for them to be damaged is not as low as that which harms skin cells and other tissue types. This means that localised below body temperature cooling of problem areas effectively results in improving your appearance. A pair of titanium plates attached to a cooling machine are placed on the skin and are used to target fatty areas. Love handles (for example) would be sandwiched between the two plates during procedure, with the patient laying on their side for half an hour to an hour whilst the ‘freezing’ takes place. The Cryolipolysis fat reduction procedure is currently approved for use in Canada, Europe and other international markets, with approval by the US Food and Drug Administration pending. The system has already been cleared by the FDA as an effective skin cooling device for many dermatological procedures. It has been safely used across the world for many years. ​Results are usually visible two to four months after procedure, and may continue to improve for up to six months. Most clients who undergo Cryolipolysis are highly satisfied with the results of their procedure and can enjoy a natural, slimmer appearance. This procedure allows the skin to feel smooth again. It’s a non-invasive procedure that is safe with virtually no discomfort. The sensation during this procedure has been compared to a hot stone massage. Radio Frequency therapy works by delivering heat beneath the surface of the skin. RF may stimulate the skin allowing it to feel smooth again. ​Ultrasonic refers to sound frequency. An Ultrasonic Cavitation hand piece will make a sound we cannot hear while it is vibrating. A fat cell membrane cannot withstand this pressure. Ultrasonic Cavitation customers have seen results by using this advanced technology allowing improvement to the body’s overall appearance. 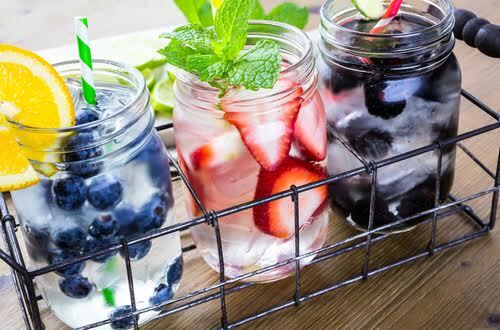 Drink fresh water, why not add some fresh fruit?